National Violent Death Reporting System (NVDRS) collected statistics for violent deaths in 16 states (Alaska, Colorado, Georgia, Kentucky, Maryland, Massachusetts, New Jersey, New Mexico, North Carolina, Oklahoma, Oregon, Rhode Island, South Carolina, Utah, Virginia, Wisconsin). The full results are available here: http://wisqars.cdc.gov:8080/nvdrs/nvdrsDisplay.jsp. You can query the database using a number of parameters - the demographics of the victim, the cause of the injury (firearm, poison, "blunt instrument", "personal weapons (hands, feet)"), the relationship between the victim and the suspect, and so on. If you run reports for firearms-related deaths in 16 states (set "Standard Injury Mortality Cause Groupings" in question 5 to firearms) for various relationships between the victim and the suspect, for white, non-Hispanic males, you will get the following results. Basically, a firearm in your house is far more dangerous to your domestics and friends that to strangers. In addition to increased risk of accident you should keep in mind that operating a firearm in a controlled manner under stress is very difficult. Your judgment is clouded. You are experiencing an adrenalin rush that makes your body - and especially your hands - shake. You have to make decisions very quickly. Your shots are without a good aim. Your situational awareness might be bad. All these factors diminish your ability to operate the firearm safely, and reduces the probability of a good outcome. The problem with un-aimed fire merits expanding upon. 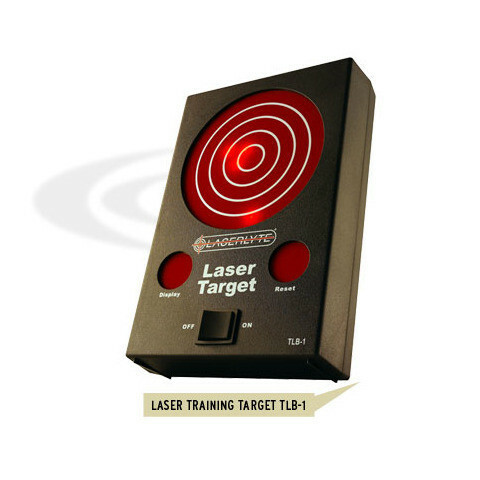 I have a device called LaserLyte Training System. 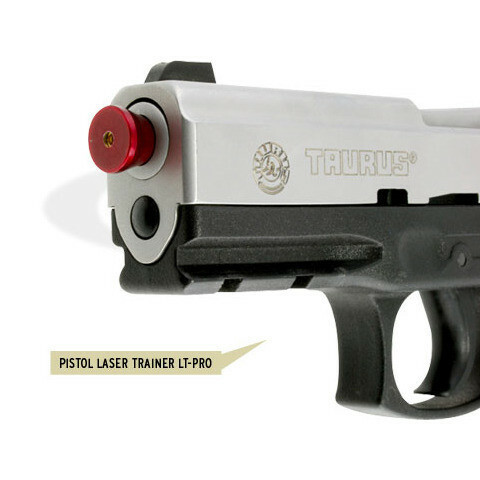 It consists of a target that lights up the point of impact dot when hit by laser, and a laser insert into the barrel which is sensitive to jolts created by the hammer dropping and emits a short pulse when the gun is dry-fired. It can show more than one point of impact, so you can even go for groups! The genius of this device is that not only it allows you to practice outside the range, but you can try things that otherwise would be very, very unsafe. Such as firing from the hip or any other types of un-aimed or rapid fire. I am not an Olympic style shooter by any means. But I can generally keep 1.5" 5-shot groups with my Browning Buck Mark at 25 yards supported, with iron sights, and I can very easily keep all rounds in the black area of the standard 25 yard pistol target unsupported with all my handguns. So when I tried "point and click" shooting with the LaserLyte I was stunned when I found myself missing a target that was only a few yards away, and not by inches but by feet! Worse, un-aimed shooting "from the hip" often missed the target by over a yard! Experimenting more and more I gradually improved, but it took a lot of work and quite a bit of time. There are other possible problems. If police were to ever storm your house due, for instance, to erroneous drug lead, and you end up meeting them with a firearm in your hand because you mistake it for a home invasion, you WILL die. Police in this country seems to be shooting first, and asking questions later if there is even a remote chance of harm to them. This seems to be happening at least once or twice every year. With all this in mind, I do NOT recommend keeping a gun in one's house for self-defense unless you are very familiar with firearms and practice a lot. And by "practicing a lot" I do not mean going to a range once or twice and then planting the gun on your bedside table. If this is what you plan to do, you will be safer by not buying guns at all.